After my A levels, I was fed up with studying and felt I had no sense of direction. A friend and I, having been working in London in boring jobs, went on holiday to the British Virgin Islands and I ended up staying there and living on boats in Tortola for five years. Tortola was the real University of Life for me. I grew up, having been such a baby when I went. Plenty of sailing was involved – in fact I met my future husband in a bar in Tortola after he’d sailed from Ireland! We re-met in Scotland – sailing again – where he was writing a book and I was working in a Recruitment Agency. We had both enjoyed living in the sun and rashly decided we should put all our worldly belongings into the back of the Citroen, leave rainy depressing Britain and head off to Mallorca. Mallorca was where it all came together. We got married, bought a house, had space for a therapy treatment studio. My older sister is an Osteopath, and I was always interested in what she did, so there was the possibility that I’d do something similar. I started with an Aromatherapy course, a scattered modular one, and had to come back to England for that. I practised on friends to begin with, and then met someone who’d done CranioSacral training. She did a biodynamic treatment on me and there was a resonance straight away. It was instinctively right for me. I started the Upledger CST training on my own behalf. Being modular, it suited me, living in Mallorca. Some of the courses were in Ireland, some in Edinburgh. I was finishing my training when I was pregnant at the same time as having a child who didn’t sleep – yes, my own children led me into it, just as they’re supposed to! This probably explains my particular interest in the Paediatrics side of CST. I went to Dr John Upledger's Symposium in 1997 and was completely blown away by the energy of this big warm man – all the clichés! It was as if he had a giant hot water bottle inside him; he just glowed from the inside with life and generosity. He made the work completely simple and accessible: “So, just do that, then.” We all sobbed when he died because his philosophy had changed and touched so many people’s lives – it affected and shaped my relationship with my children, my husband, my parents. His is a deep philosophy; there is the epitome of something in the core – our whole family has been caught up in the ripple. The clinic I was working at in Mallorca was multidiscipline, and this resulted in a beautiful overlap: people came for massage and I’d ask them if I could add bits of other trainings. I’d start with diaphragm releases and the transition between modalities became entirely fluid, whole-body, integrating with the soft tissue. My first modality, Aromatherapy, was ordered and straightforward and prescriptive – CST gave it a freedom. By now, my 10-step work was well in place via volunteers. I got established, did heaps of practice, practice, practice. I saw the response and almost wondered why I ever did anything else. These days, I advertise remedial massage, which gets people in through the door. Where I live they’ve never heard about CST. It’s a question of educating, working locally. The only way is word of mouth. My website is broad, but word of mouth is what brings referrals, particularly with babies, or frozen shoulders, or sports injuries. Babies more than anything. Perhaps 15% of people come now for soft treatment work, but I do cranial work on all, really – you can’t help it when you know it. For example, I might have a big burly builder come in and I’d say: “I’m going to try something different to get through this tough muscle” – flattering him! Then the CST work softens the tissue and complements a massage perfectly. CV4, tissue release, fluid exchange, direction of energy, joint mobilisation, energy cyst – I talk about tightness – it all adds in, works in, via the dural tube. CV4 really helps. Autonomics set in. CST is all about listening to the tissue. I feel it’s my daily motto: “Stop doing – just listen!” For me, the art is in the listening. I learnt it from Stan Jerome and from Sanno, such fantastic listeners. I watched them listen – mirror – match – back and forth – working with the body movements. Every day I’m hearing stuff in a new way. We have a brilliant Study Group – it has got bigger and bigger and bigger; everyone practising in their own way. CST is about being there, while most other modalities are about doing something. It’s as different as night and day. Your role as a therapist is so different from any other therapy. It’s not in the slightest that we’re passive, but we are neutral. You discover that it’s not a practice, it’s a philosophy. I love going to work. Every single case is different. I hear people’s stories verbally and then hear them again through the tissues. I love that. It’s as if we go exploring together, panning for gold. Sometimes the journey can be painful, sometimes enlightening and beautiful. CST is sound from the ground up. It’s such a joy, such a find, I’m so lucky. 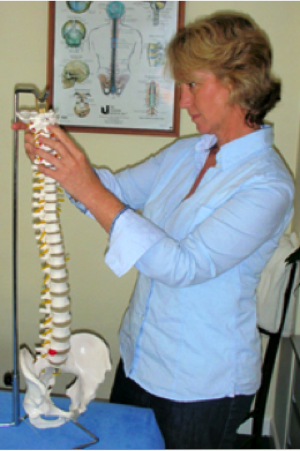 Caro was Treasurer and a Director of the Cranio Sacral Society for three years.